﻿ The AutoGuide Show Ep.9: Hyundai Veloster N and Widebody Hellcat! Welcome to episode 9 of The AutoGuide Show, our video show and podcast. We’re trying a new weekly, half-hour format that will come out every Friday on YouTube or your favorite podcast player. Watch it fully, leave it running in the background, or stream it as a podcast, but listen in as our editors answer audience questions, discuss automotive industry news, what they’re driving, and everything else going on in AutoGuide Land. This week, Jodi, Sam and Sebastien answer an audience question about a new $30k fun four-door, the Hyundai Veloster N, and the Dodge Challenger SRT Hellcat Widebody. 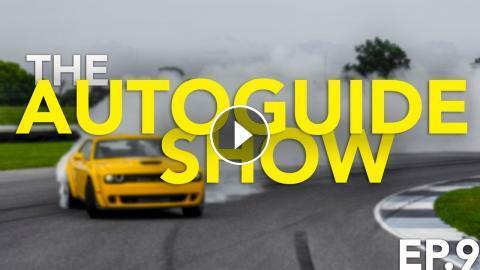 The AutoGuide Show Ep.6: Toyota Supra, Nissan Altima, Cadillac XT4 and Craig Cole!